I really like Christmas! It’s my favourite holiday! I love to receive presents, but my family, well, not much of it comes in for other holidays. But for Christmas… everyone comes in! And I have a cousin who is rather rude. She always has to look on the dark side of things. So my wish to the world is that everyone should look on the BRIGHT side, even in the darkest days. It will help you get through tough times. Remember to ALWAYS have hope! My wish for the world is peace,love,care,and to make people happy and find good homes.This is all I want for the kids is presents,family,care,love,peace,and for everyone including Santa,the reendeer,Mrs.Clause and every child in the world to be safe.Now you see all this could happen,butwe all know that everybody will come together and on Christmas day we wll all pray for Joy,Peace,and Love. I wish little kids could have great shelter just like us. Can. You. Pleas. Get. Me. The. Drums. Thank. You. And. Merry. Chiristmas!!! I want to STOP hunger because some kids there are just excited to eat bread! at your school talk to the princable and ask if you can have kids in YOUR school donate food to send I mean kids there have a short life and some babies live until there only three months I mean we can make a big change it would also help people stop hurting people there because people there hurt other people for food I call this fundraiser food for children thank you for your time. My wish for the world is that everybody is joyful, happy, safe and is not alone and that is thankful for their family, friends, shelter, homes, and that they are loved and protected by everyone and that they have nothing that can harm them and last of all that they have no sickness, no disease, and no illness, also that they have what they want the most, their family and thanks for everything that they need and that they have and the happiness that everyone has so that they can never feel left out or feel alone. My wish is that nobody is sad or hungry on Christmas. That people that is poor will get food and money. Santa I see hurt ,crying, dieing, hungry people and my family tries to help but sometimes we don’t have enough money. So i give them all the toys I have and cloths that don’fit me. I also try to save nature. So my Christmas wish is that all things get to live and people will get all the love they need. I wish that there would be no more wars and people would help more homeless so every one would be happy. Can You Find it Santa? Hi Santa!My Christmas wish is for the old people to have more people visiting them to entertain them,I have done it before.My second Christmas wish is for Singapore to become a smoke-free city.I hope you will be able to grant my wishes.No matter how long it will take you to grant my wishes,I will wait.Thank you Santa! Santa.I always see people who are hungry,hurt,tired and dieing.My family and i try to help them.But we some times cant help them beacuase we dont always have enough mony or food and all that other stuff.So my christmas wish is for every one on the streets and hurting cus a loved one died is for every one on the streets to have a very merry christmas.And for every one in the world to have peace in the world to have peace with there selfs and every one ellse. Hi Santa! I wish everyone around the world would live in peace and believe in Jesus Christ our Savior! I WISH TO HELP THE WORLD AND MAKE IT A BETTER PLACE TOO.I HAVE IDEAS TO MAKE HAPPEN.I WISH TO BE A HELPER TO THE WORLD. My Christmas wish for the world is that people will find Jesus and accept him as their saviour. And also that we can have peace and stop fighting wars and battles. My Christmas wish for the world is for everyone to be happy. Can you give homeless peoplehomes this year. My wish for the world is for everyone to get at least 2 presents and 1 note from Santa. I wish it was Christmas!!!!!!! dear santa please come to my house at 12:50pm and give me mr.kat do it for real i’ve been good this whole year royal promise and never break that promise!! !to:santaclus from:morgan turner mephis teneesee misty woods cove ps:santa please come over to my house! Santa you are the best guy on earth and you are very kind to every child because you give us presents at Christmas and we always give you cookies and we give the 8 reindeer’s food and i hope everyone on the world will have a merry Christmas. My wish is that everything could always be perfect!!!!!!! I wish no one hurts people or animals and everyone is safe and people have food water and shelter.That makes me sad to think of people that have nothing. i love your poem.it is so lovey. I wish that everybody in the whole wide world are nice and give like well here is an Example: At my school we had a program where the teachers hang 3 Grinches on the wall and under them there are boxes and you put toys in the boxes and each time you put a toy in the box you would put a heart on the grinch and you would give. So why don”t you try it. What Does Giving Mean to You? please do not be mean to my friend santa or he will not give you people or kids presents so be good or you won”t get present”s but you will get slim. thank you for giving me what i wanted was a bright light pillow. I wish Jesus woud come back wen I am 20 at lest.Then I will have a car I hope at lest. my wish for the world is a cure for cancer! Que todos sean felices y tengan paz. Que cada anio las personas sean mejores. My Christmas wish is to have everyone be treated equally. Dear Santa, or should I say a fat red stocker. Why do you always break into my house every year? And you need to go on a diet. Also, while you were kissing my mom, your reindeer friends had run over my grandma. Also you get way to much credit for what you do. When they say you deliver presents all in one night, you have a full 24 hours. While one end of the world is night, the other is day, so yOu have twelve hours for one half of the world. Also, there are many naughty kids in the world, so that takes alot of kids off your list, and also many countries and families do not celebrate Christmas so that is many less. So that is what I think of you, Santa. Me and my family have a tradition where we put out our pillow cases and you fill them with small toys, pencils and lollies! Santa I thank you very much and I cannot beleive your coming tonight! Hi santa it’s me hailey,I just wanted to say that I love Christmas. I hope that you will like our cookies and the carrots for the rain deer. I can’t wait to wake up on Christmas morning and see all the presents under the tree and in the stockings:). I hope you know what I really want, a iPhone or just any other phone except a flip phone please. I hope that you have a good Christmas and mrs. Claus and all the rain deer and elves. Merry Christmas and a happy new year:)! I wish everyone in the World Merry Christmas and to know that Jesus loves them! I wish for everyone to have a happy life. thats not all wat do u like?how do u fit down th chemny?ok i told u about me tell me about u. so im leaving u ginger snaps with lemon curd and milk!the dog mite bark at u its her first christmas so its gona be the best! My Christmas wish this year is for people to live in peace and harmony. It hurts me to see people getting hurt from one another. I will do my part and spread the word of Christmas Spirt. I promise that i will think about my actions before i act upon them. I know if we all work together this dream can come true! After all it takes one person to make a chain reaction! dear Kris Kringle i helped people and shared and did a little mistake this year and i love sending emails and post letters and received one from your elf’s and you. thank you and merry Christmas love John. So all I want everyday is love and peace while this happens on Christmas why can’t it happen everyday peace harmony freedom no hunger no gread just love and happyness and no hunger this is my wish love peace everyday. This year my school has donated 65 boxes of food to the food bank and the boxes where over flowing.Next year we are going to do more and collect it so we can help peolpe go and eat the wonderful food that i am thankful for and make them feel happy so they can eat and not worry about starving or getting sick (which i do not want) so as my New year resolution it is to help stop homless people cause no won should have to be scared of getting heart or of not having a home. Well we have a strange tradition at my house.We get onions and draw faces on it.Then we name them and look after them then sadly we fry them.We then eat them before bed on christmas eve.Then on new years day we get new onions and start again.We then keep it till christmas.My onion at the moment is Charlie.The meaning of it all is that life ends but a new one starts.Gonna probbaly cry when saying bye to Charlie but at the end of the month ill get a new friend . I wish that no one is poorly not even you and the elf’s .My dad saw a man looking in the bins and searching for food.Poor him! !MERRY CHRISTMAS PEOPLE!! I wish for people to stop committing crimes, and killing one another. sryy about that everybody. As I was saying my Cristmas wish is to stop all violens and world hungur. Three days till Christmas! I am 9! I wish that other kids that are less fourtunate than me ,have a nice Christmas too. My wish for the world is that people would stop hurting one another. I also wish that all children are happy and safe. The flu is pretty bad in my area so I hope the reindeer don’t get sick before Christmas. I wish for no one to get hurt. I wish the world would have no bad people in it because that way no one would get hurt. Everyone to be nice and not to kill. Like wha t happened in connecticut with that guy who had an illness that he was born with and can’t get rid of. That’s my Christmas wish. I agree with the reindeer. If I could have any wish to make the world a better place, I would stop animal cruelty. 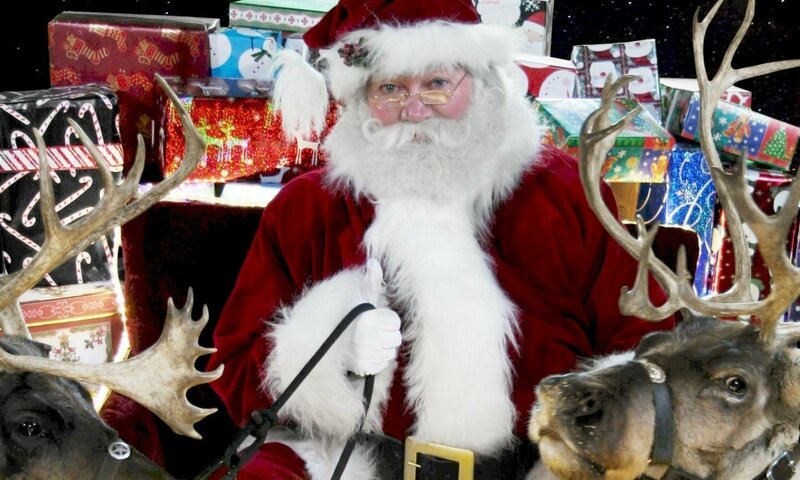 I would like you to tell the reindeer that I have been very nice to all three of my dogs and I would never hurt them. My wish is to all the kids and adults that were shot in the Sandy Hook Elementary School Shooting. I hope they are having a good time in heaven and I also give my prayers to the adults that loved those kids, and the ones that died trying to save the children. that people would stop bullying people! I wish a merry Christmas for the people of Newtown, Connticut ant the whole world. MY Christmas wish is for everyone to have a wonderful and safe holiday. And for people to help each other who in need. For the homeless to have shelter and food. For the world to be in peace and happiness all year around. For the people who dont have loved ones to share this holiday with is for them to be with someone who cares about them. And for all the animals to not get hurt or abandoned and for someone to love them. I would love to give back to the people who has helped me and my family. I am truly grateful and blessed to have my family that love me unconditionally. God Bless to those who doesnt have anyone or anything to have. Go Santa! We all need to help make a difference, even if it’s small, to help the world, just like you! 5.and me, my christmas wish is on Christmas day every person rich and poor snobby and shaggy nice and naughty big and small all have a happy exiting peaceful Christmas day. I wish for all the world to be safe why each other. I wish that the world would be peaceful with no wars or shooting.I wish everyone could get along and share.Can you make it happen?Even just for a few minutes I’d like to live in a peaceful world.I really really hope you can do it!And um can you make the Sandy Hook kids come back to life please?Thank you so much for trying! My special Christmas wish is that the soldiers from wars get to come home and that people will learn to us their words instead of guns when they have a problem. To make the world a better place I put smiles on everyones face and always their for whoever needs me on the internet and in my town. Dear Santa I would like… Monster high makeover ,Doll’s of them,Make your own doll and more monster high.just dance I love dancing… MERRY CHRISTMAS SANTA AND ELF’S!!! I wish everyone can live warm, safe, happy, never have fights, and have lots of money so they can buy food. That is my wish. I wish that all the people would understand that there are other people who need a home, food, water and shelter. And what would make my day is seeing people share what they have to the people who do not have that. Cause where I live all there is is poor people on the street hungrey. And all I see is poor, poor animals that are sooooooooo hungrey and looking for a home. It just makes me cry!! I wish everyone would understand there are people who need us to help them!! Hi! I’m so excited for Christmas! I love waking up and opening my presents. But I know that the true meaning of Christmas is Jesus’ birth. MERRY CHRISTMAS!!! i wish all people would be nice to children and animals. My wish for the world is for all wars to stop. For children to have a better place to live where they always feel safe, loved; never feel left out, hungry or thirsty. That all children have a warm, safe place to live. I wish that people would be selfless (like you, Santa) instead of selfish. The world could do with no poloution and global warming. I also wish that all wars end. My Christmas Wish for the world is for everyone to be happy and nice to each other. My greatest wish is a world of peace and harmony where everybody loves each other unconditionally. 1.everyone can have a safe xmas. 2.everyone can be happy at christmas. 3.every one can get what they need. Previous PostPrevious North Pole Newsflash 2012: Santa Fit To Fly!